A total of 503 single-family permits were issued in Macomb, Oakland, St. Clair, and Wayne counties in August 2018, according to a new report from the Home Builders Association of Southeastern Michigan. This is more than the 440 permits the association’s econometric model had forecasted. 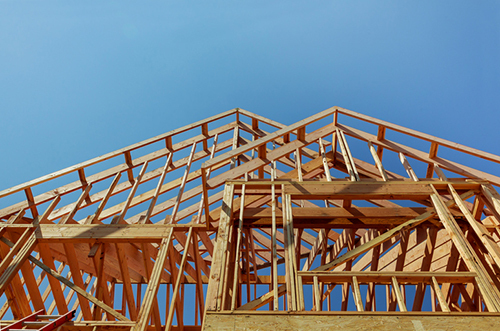 The higher number of permits could indicate fulfillment of pent-up demand that accrued in the preceding months, when a slowdown in activity occurred, says Michael Stoskopf, CEO of the Home Builders Association of Southeastern Michigan. August’s result was up 4 percent compared to the revised permit total for July 2018, which was 484. However, it was down nearly 10 percent compared to the revised permit total for August 2017, when 557 permits were issued. August’s totals helped bring the year-to-date home permit total to 3,530, maintaining the second-best start to a year since 2006. Average permit values continued their decline compared to recent past months, dropping 17.4 percent from July 2018 to $236,024. The average permit value for August 2018 was also down by 12.3 percent compared to the previous year. Employment across the region remained strong and steady. “As first reported in June, while our econometric forecast model shows that permits for new homes should remain positive through the remainder of 2018, we have downward adjusted our forecast total permits for 2018 from 5,649 to 5,306 to reflect a slowdown in the growth of the economic factors that are used in forecasting permits,” says Stoskopf. North American vehicle production increased 36.6 percent from July to 1,561,331 and remained flat year-over-year. Crude oil price per barrel increased 6.4 percent from July and 50.6 percent from August 2017 to $70.46. The average single-family home sale price decreased by 3.2 percent from July to $231,326. This was an increase of 5.7 percent from a year ago.